>Enjoy your turkey day all of you Canucks. > My son and his room mates are cooking the meal this year. That will be a treat! My only responsibility will be to prepare the shrimp cocktail. How sweet is that?! When I was growing up our family began making a shrimp cocktail appetizer to begin every holiday meal. Now, each of us with our own families have since carried that tradition on with every Thanksgiving and Christmas menu. Sometimes we’ll get cavalier and throw randem amounts in..more lemon zest…more hot sauce. But truthfully the original is the Best. It’s a very common shrimp cocktail sauce recipe..mayo, ketchup, lemon juice and zest, horseradish and hot sauce..umm I think worcestershire is in there as well, and of course shrimp. I have peasant tastes, I prefer the canned stuff. Anyway all of you Canadian readers out there, enjoy your own traditions this weekend! I hope some of you will get to put your feet up like me and just enjoy the treat of someone else doing the cooking. Oh geez, I just thought of something. 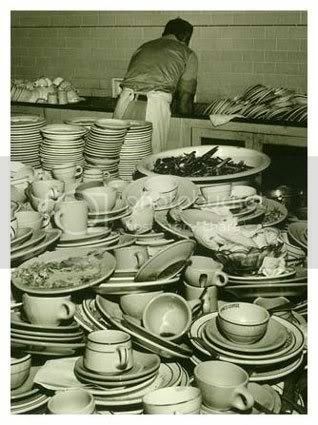 Does this mean I have to do the dishes…!! You are currently reading >Enjoy your turkey day all of you Canucks. at fireandglass.